Not all homes are equipped with an abundance of outlets. Older homes usually only have 1 or 2 outlets and they never seem to be where you need them when installing your kitchen appliances. A.D.I. Electrical Services work fast and clean to install circuits to support power for your major appliances. Installing a new circuit is a very involved process and only should be done by a licensed professional. You could risk serious injury to yourself or your home if you attempt to do it yourself. Not all appliances use the same level of power. 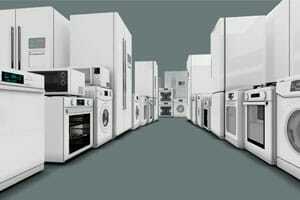 We are well versed on appliance installation and what power requirements they have. Let us take the stress out of completing your dream home. Call A.D.I., now to complete your circuits and get your home working foryou! Any appliance, any situation we have it covered.